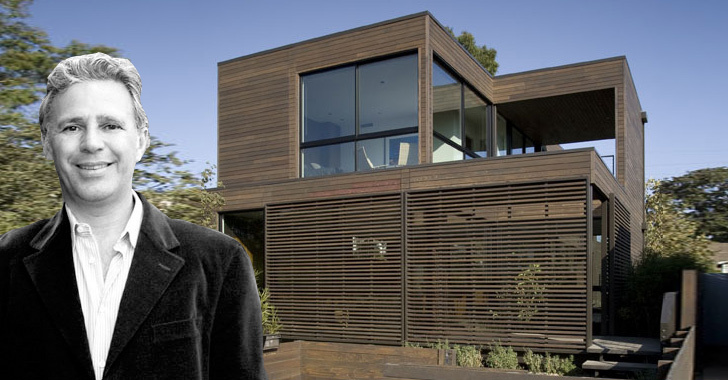 A few years ago, I had the opportunity to talk one-on-one with Leo Marmol of Marmol Radziner about prefab architecture and sustainability. I asked him about his trajectory as a designer, and what opportunities he sees for prefab to have a larger impact on a wider, more affordable market. His response was thoughtful and optimistic, and provided some great insight into the mind of a forward-thinking and increasingly green designer. Hit the jump to watch the interview or read below for the full interview transcription. Leo Marmol: Our history of Marmol Radziner and Associates is of a high-end design build architecture and construction company, so we are very involved in the process of building homes, and so we know very directly how inefficient that process is. By taking the majority of the construction and putting it in a factory, we’re able to utilize and capitalize on a great deal of efficiencies, thereby being more sustainable or green. And by green, all we mean is a process of making buildings that’s a little gentler, that it minimizes waste; we can do them faster, thereby reduce the resources necessary to make the houses. How do you think pre-fab is particularly appropriate for sustainable architecture? Well, I think the entire construction industry is starting to face up to the fact that they’re a very wasteful, inefficient industry. Pre-fabrication is one option to make things a little better. First, we have to make a distinction between pre-fab architecture and manufactured architecture. The manufactured architecture is the mobile home, the recreational vehicle, permanent chassis; that’s in one area. What we’re talking about are pre-fab homes that are made in a factory, so they’re factory-built, but once they arrive on a site and they’re installed on a site, they’re permanent. And so, by all definitions, it’s a plain old, ordinary house. It just happens to have been made in a factory. How have your design/build processes helped you produce more sustainable architecture? I think the design build process, for us, gives us more control of the overall process, so we can be conscientious of the process of building while we’re building because that is part of what we’re responsible for, and for us to then move into the pre-fab world was very natural because we were already building. We already had a cabinet shop, a metal shop. We were doing doors and windows, so it wasn’t a great leap for us to then imagine locating all of that in one place, in one factory, and making more of the house in that place. We are doing projects in different climates and more urban-dense areas, say, Venice, that are in an in-fill lot. Well, the finishes change; the configuration of the house changes. It’s still the same system, but it’s put together in a way that is responsive to the context that it has to live in. As a designer, what do you hope to achieve in the next five years? I hope that five years from now, we have a company that’s truly sustainable; it’s got manufacturing capabilities, where we can satisfy more people. We’ve brought our costs down. We’re going through an efficiency process to try and look at how do we make these houses less expensive every day. And so I hope we have a product that’s more available and less expensive and a system that can produce it for you really efficiently. That’s our dream. it is very nice! i like the design.